After a two-week hiatus it is good to be back in the driver's seat for another edition of Thursday Morning Superhero. The end of the year is rapidly approaching and I am reminded that it is nearing the time to reflect on the state of comics in 2018. Daredevil #612 - Charles Soule wrapped up an amazing run as he wrapped up "The Death of Daredevil" and set the stage for Chip Zdarsky to take over the reigns. 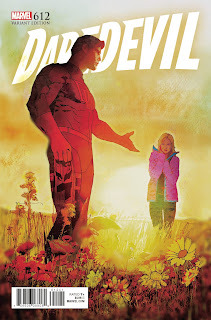 While Soule may not have been able to tie up all of the loose ends he created, he brought Daredevil back into Hell's Kitchen and allowed him to return to his roots. Drawing strong parallels to the current situation in the White House, Daredevil's final fight is leveraging the system to remove Kingpin from power following an illegitimate election. In one of the final scenes in the courtroom Soule brought out Marvel's star power with cameos from Captain America, Spider-Man, and She-Hulk to name a few. While the ending will give you pause and cause you to re-read some of the final panels again, Soule did a great job setting the stage for a new creator to take over on the Man without Fear. I thoroughly enjoyed Soule's run and would rank it up near Mark Waid's run which remains my favorite. 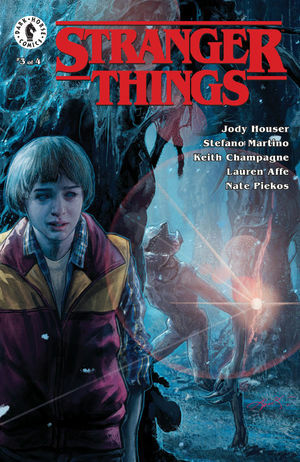 Stranger Things #3 - This mini series is nearing its conclusion and it has been an interesting peek at Will's time in the Upside Down. If you ever wondered how Will communicated to his mom and maintained hope he could survive then this series is well worth your time. In a particularly devastating scene, Will returns to try and talk to his mom only to find his dad boarding up his only window into reality. He is pleading with his dad, but he doesn't hear him leaving Will feeling hopeless. I can't see this book appealing to non-Stranger Things fans, but if you enjoyed the Netflix series I highly recommend giving this one a whirl. If it is successful maybe they will consider a spin-off set during the time of season two. My only wish is that it featured more flashbacks of Will and the boys prior to his abduction. 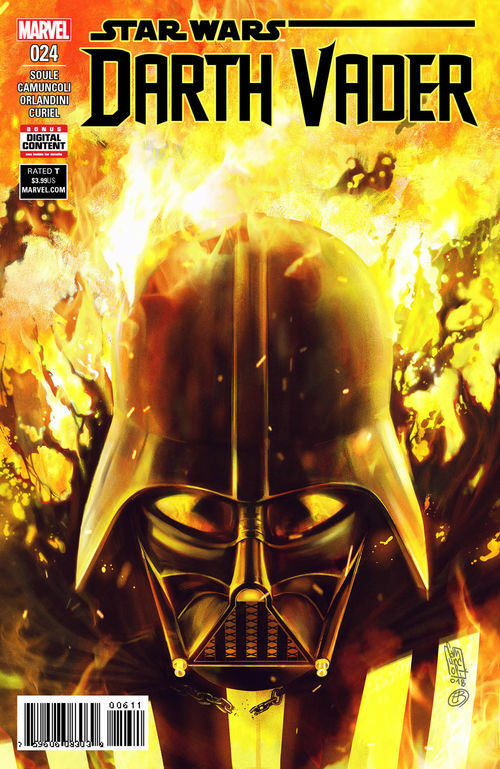 Darth Vader #24 - I will admit that the current arc of Vader has me scratching my head and being highly entertained at the same time. I have thoroughly enjoyed this series and feel it might be the best Star Wars comic in the Marvel arsenal. It gave us the Dr. Aphra spin-off and has finally provided insight into Vader's rise to power. As Dean noted in our Holiday Gift Guide, this book accomplishes what the prequels never did and is must read material for Star Wars fans. Having said that, this current arc and Vader's return to Mustafar features a horde of insects and a Sith Master's spirit rising from the dead to teach Vader about his misunderstanding of what the dark side truly is. The highlight in this issue was watching Vader command his army of Storm Troopers in battle. Watching how he inspires them with his actions on the battlefield highlight how he may indeed be the chosen one. This issue fell a bit flat, but I am looking forward to the conclusion and am still enjoying this series.